Thanks, Pamela, for the chance to be your guest here on the blog. It looks like I’m in some good company! So, I wanted to talk about my short story “An Accidental Witch” from the anthology Beltane: Ten Tales of Witchcraft. It’s a fun little story, but kind of a departure for a good Catholic like me. I mean, I’m the go-to girl if you have questions about Gregorian chant, but witchcraft? Not so much. One Part Stephanie Plum…Okay, I L-U-V-Love Janet Evanovich and I’m not ashamed to admit it. She does so many things right in her books! If I sound like I want to be her, it’s because I do. One Part Connie’s (handsome!) older brother…When I was in high school, my friend Connie’s brother Richard was away at school at Notre Dame. His periodic holiday visitations were always a cause for fluttering. And, yeah, their family is Portuguese. Why make stuff up when real life hands you a character? One Part prompting from the editor…I can’t remember if it was email or twitter, but Rayne (Hall, a truly amazing editor!) & I were bouncing ideas back and forth, and one of her suggestions had to with examining the differences between witches who actually practice and those who are just in it for show. One Part actual philosophical debate…I’ve done some reading about Wicca/witchcraft/Paganism, and while as a religion it’s a lot less structured than, say, Catholicism, there are many, many seekers out there. I think in ANY religion you can find people who are just Acting, as opposed to sincerely searching, and I was trying to play with that a little here. One Part sleep deprivation…I knew Rayne had a deadline and so I was feeling a little bit of pressure, because while I’d promised to come up with something, the actual specifics of that something were a wee bit vague. Or even nonexistent. I worked a Thursday night shift and went to bed Friday morning, waking up after only three or four hours. And walking across the bedroom floor that afternoon, I had the story. I wrote it up before bed that night and emailed the draft to Rayne the next day. One Part luck…Seriously? A 5,000 word story in a day? If that ain’t luck, I don’t know what is. So there you have it. No Eye of Newt required. Just a little life experience and freaky-fan-girl love, and you’ve got “An Accidental Witch”. 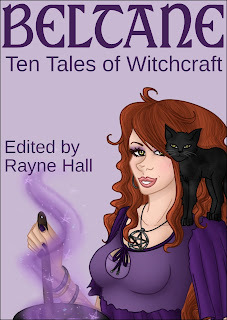 I hope you check it out, along with all the other great stories in Beltane: Ten Tales of Witchcraft. And have a Happy Halloween, or Samhain, or All Souls Day, or whatever you choose to celebrate! Just for the record, I’m not a witch. I practice Wicca, which is a slightly different thing. Stop. I can hear you groaning from here, and can assure you that I do NOT take myself too seriously, and I DO have a sense of humor. My friend Maybelle, on the other hand, is an actual witch. She and her coven are out to change the world with a series of “Magicks” with a capital M. They’re showy but relatively harmless. They gather in the forest wearing lots of drapey fabric, cast their circle, light candles, chant, and dance, and when that drapey fabric interferes with their dancing, they take much of it off. It can be pretty wild stuff for a bunch of girls from Shelburne Falls, a little town on the western edge of Massachusetts that’s better known for its touristy “Bridge of Flowers” than for witchcraft. We live in the shadow of Salem, but the coven can fly their broomsticks under the radar here. Maybelle and I met for dinner about once a month. October was my month to choose the restaurant, so we were at Pizza Carvahlo, the best restaurant on Main Street. It happened to be run by one Richard Carvahlo, whose hearty Portuguese nose, strong woodworker’s hands, and fiery black eyes had been out of my league since high school. Just as I indulged Maybelle’s tales of Magicks, she indulged my mooning over Richard. It was a level playing field. I swallowed a mouthful of water, using the sweating glass to hide my grin. “Really? Ever? Like, bigger than the time you and the girls tried to recruit high school seniors for that meditation marathon?” Because eighteen year olds are the most focused creatures on this planet. I swear. This time I grinned openly, remembering her story of how the circle kept getting smaller and smaller as the students snuck off for bathroom breaks…and didn’t make it back. “Yeah, and that’s not counting the ones who were over by the creek smoking pot.” My tone of voice might have been a wee bit sarcastic. See, I do have a sense of humor. 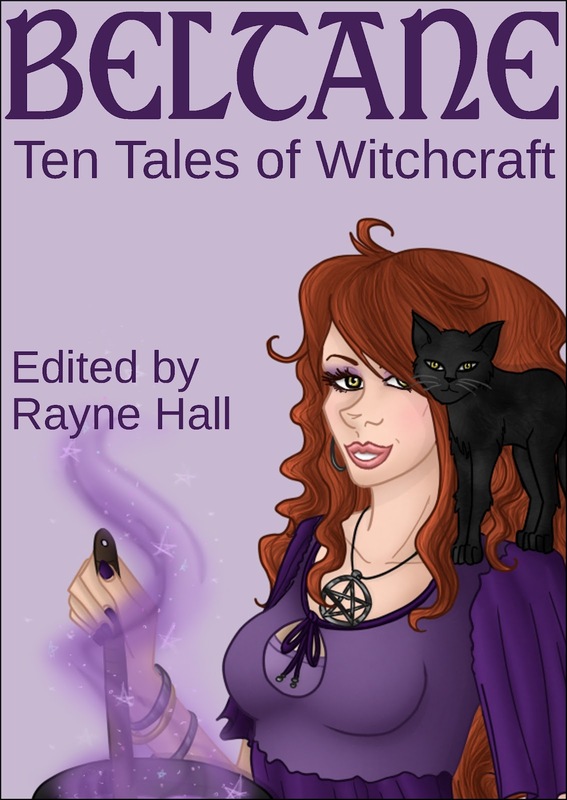 Beltane: Ten Tales of Witchcraft is available from Amazon and Smashwords. Liv Rancourt writes paranormal and romance, often at the same time. She lives with her husband, two teenagers, two cats and one wayward puppy. She likes to create stories that have happy endings, and finds it is a good way to balance her other job in the neonatal intensive care unit. Liv can be found on-line at her website & blog (www.livrancourt.com), on Facebook (www.facebook.com/liv.rancourt), or on Twitter (www.twitter.com/LivRancourt). All your parts came together to tell a great story. You're quite welcome. :-) And I agree with Debbie, that 5000 word in a day would really help during NaNoWriMo. Thanks for checking in, Deb! I wish both you and Pam 5k word writing karma. What a fun story! I'll definitely add this to my TBR list. Isn't it funny how circumstances get us to the right place, with the right words? I'm going to add this to my TBR list too Liv! Your 'voice' is so fun and upbeat, I couldn't help smiling as I read your excerpt.